We design and manufacture a great selection of gate rings for key chains or key holders. There are gold, nickel, black nickel, antique brass and antique copper colors available. All of them are specially designed for easy add-on and without losing your fashion! 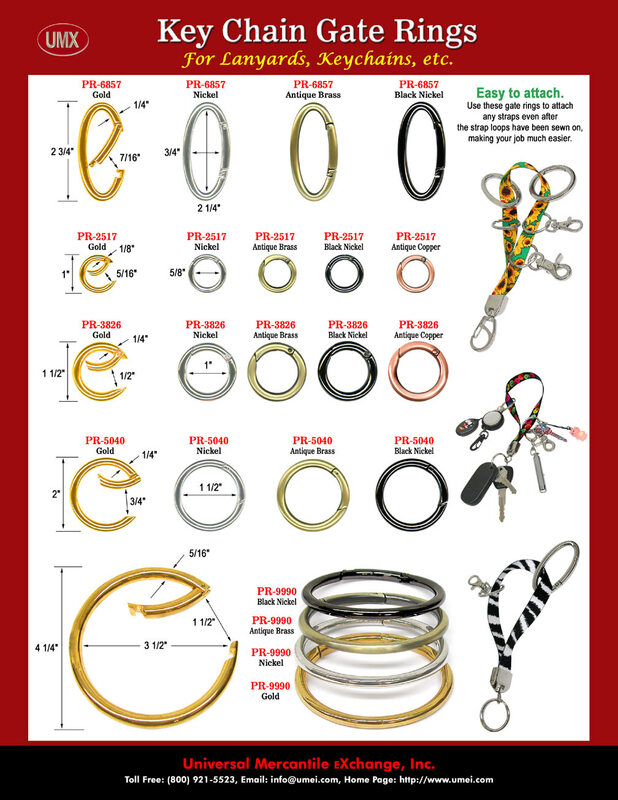 You are viewing Lanyards > Wrist > Easy Open and Easy Lock Gate Rings For Key Chains or Key Holders.